Aaron, Harriet and Paul Conroy. A camera that was hidden in the bathroom. 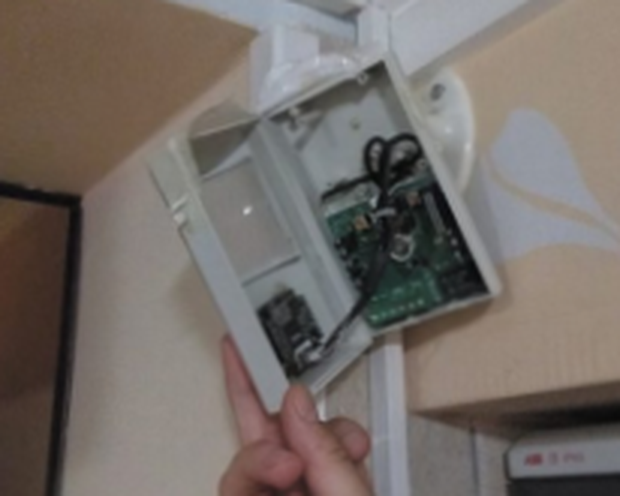 An Irish family has revealed its Airbnb holiday horror after discovering at least eight hidden cameras in a luxury villa in Greece. The high-tech equipment was placed in “every room” of the property, which the family had rented through the hospitality website for a wedding. Harriet Conroy, along with her husband Paul, their two sons Aaron and Paul Jnr, and a friend, only discovered the cameras dotted around the property after spending a night there. Sophisticated devices were placed around the villa, which included a hidden camera in a large bathroom in the villa pointing at a toilet, a hot tub and the shower. Several of the cameras were also disguised inside sensors which were motion-activated and recorded audio as well as visual. The family had travelled to Athens last July for the wedding of a relative, and struggled to find new accommodation after fleeing from the property as quickly as they could when they uncovered the cameras. Airbnb has since suspended the owner’s account but Ms Conroy said the company should take more responsibility and regulate people looking to advertise their homes through the website before they are accepted. 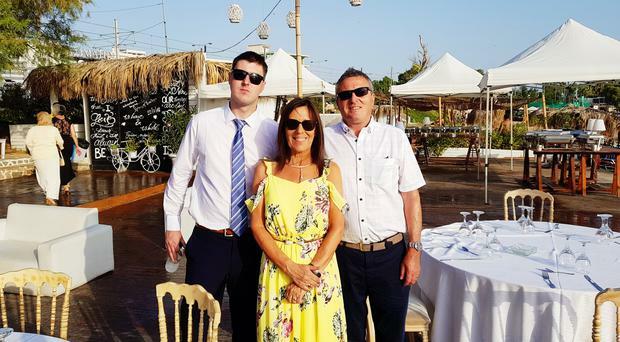 Ms Conroy, whose family lives in Co Meath, told Independent.ie they first suspected something unusual when they arrived at the luxury property near the Greek capital to collect the keys. “We arrived and the owner said he’d leave the key in the letterbox, but when we got there, there was no key,” she said. “I called him on my mobile and he said ‘step forward into the garden’ and I thought to myself ‘it sounds like we’re being watched’. “We were tired the first night so went to bed almost straight away. The next morning Aaron noticed something in the corner of the room. “He’d be pretty high-tech so he called me and said ‘have a look at that’. It was a camera. “Then we started looking all over the house. There were cameras everywhere, even in the toilet. It was a big bathroom with a hot tub and a sauna. “There was a motion sensor camera in the corner watching everything, in the corners of the bedroom as well. “There wasn’t one room in that house that didn’t have a camera. “We called a meeting at the pool area and discussed what we were going to do because we didn’t know what we were dealing with. “We knew we needed to get out of this house. He would have been watching us and saw us taking photos of his cameras. A spokesman for Airbnb said that it took immediate action against the homeowner and suspended his account. “We take privacy issues extremely seriously. As soon as we were made aware we removed this host from our platform and fully refunded the guests,” a spokesman said. “We have strict standards governing surveillance devices in listings and take reports of any violations very seriously. The family had spent just one night in the villa before they found the cameras, and had to organise accommodation for the remaining five nights. However, although Airbnb refunded them the money for the villa, the family said there was no compensation over the incident and they struggled to find accommodation that was of similar standard to the villa. 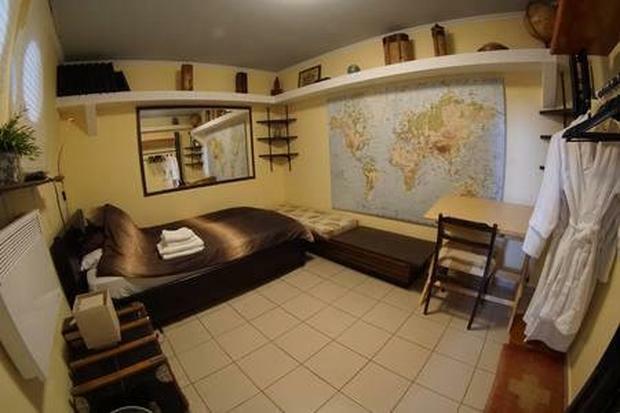 “We went down to my sister’s place and rang Airbnb. The customer service really was appalling, really terrible,” Ms Conroy said. The family forked out for a hotel which cost significantly more as it was last-minute. They said that Airbnb should take some responsibility and look into its homeowners. “I looked through the reviews for the property later and saw that families with kids were staying there,” Ms Conroy said. The revelations come a week after a New Zealand family revealed their horror at finding a hidden camera inside their Cork property after renting through Airbnb.